The film industry or motion picture industry comprises of the technological and commercial institutions of filmmaking taken together i.e. film production companies, film studios, cinematography, animation, film production, screenwriting, pre-production, post production, film festivals, distribution; and actors, film directors and other film crew personnel. Hollywood is the oldest film industry of the world and the largest in terms of box office gross and number of screens. In terms of viewership however, Bollywood is the most watched with 3.2 billion viewers mainly in Asia, as compared to Hollywood which has 2.6 billion viewers. The world has seen the emergence of indigenous film industries with Hollywood-inspired nicknames, most starting with the first letter(s) of the location and ending in the letters “-ollywood” or “-wood”. India has the largest share of names after Hollywood to represent the local movie industries. Lets recall the names of the film industries from across the world. Brief About Hollywood: Hollywood is a district in Los Angeles, California, United States (yes, it’s not a movie industry in itself, as believed popularly). The place situated west-northwest of downtown Los Angeles, got it’s cultural identity as the center of movie studios and movie stars when movie making activities increased in the early 20th century. Bollywood – is the informal name given to the Bombay-based Hindi language film industry located mostly in Mumbai, Maharashtra, India. 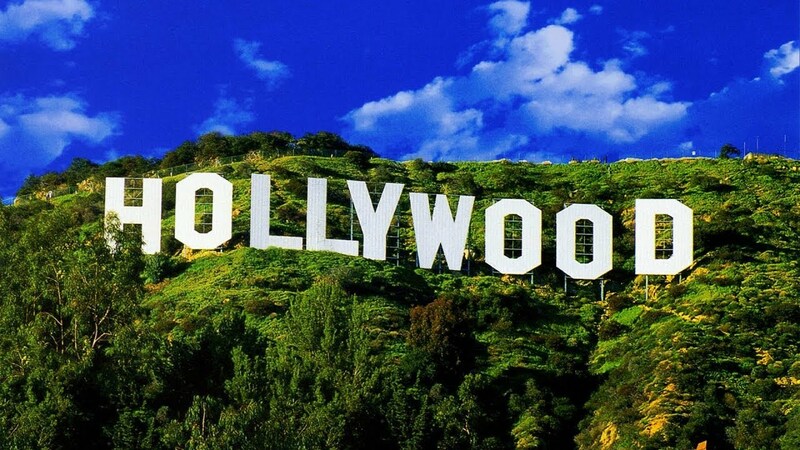 After Hollywood, Indian movie industry is considered to the biggest in the world. Name Bollywood is an amalgamation of Bombay and Hollywood. Kollywood may refer to the Tamil language film industry in the Indian state of Tamil Nadu. Kollywood is a portmanteau of the words Kodambakkam, an area of Chennai, where Tamil language feature films are produced, and Hollywood. Kollywood West refers to Tamil movies produced in western countries and the term Kollywood South refer to Tamil movies made in Singapore, Sri Lanka and India. Ollywood is the olloquial name given to Odiya language film Industry in the state of Orissa, India. Chhollywood is the colloquial name given to the Chhattisgarhi language movie industry in Chhattisgarh, India. Jollywood is the colloquial name given to the Assamese language movie industry based on Jyoti Chitraban, Guwahati, Assam. Mollywood refers to the Malayalam film industry in the state of Kerala. Sollywood – Sindh language movie industry in India. Dhollywood or Gollywood refers to the cinema of Gujarati Language in Gujarat, India. Pollywood. The Pashto language movie industry in Peshawar, Khyber Pakhtunkhwa, Pakistan. Lollywood refers to the Punjabi films of Pakistani film industry based in the city of Lahore, Punjab, Pakistan. The word was first coined in 1989 by a gossip columnist Saleem Nasir. Dhallywood or Dhaliwood refers to the Bangladeshi film industry, based in the city of Dhaka, Bangladesh. Kariwood refers to the Pakistani film industry, based in the city of Karachi. Kollywood also refers to the movies made in the city of Kathmandu, the capital of Nepal. However since it is an already well established name to represent something else, some other appropriate name needs to be coined and earmarked for Kathmandu movie industry. A name Nollywood (for Nepal + Hollywood) is also taken, so is Pollywood (Pokhara +Hollywood). May be, Nepalwood or a Nellywood would be simple and easiest alternative to represent Nepali movie industry.The Nepalese film industry is also sometimes called Kaliwood. Ghollywood refers to the Ghana film industry. Nollywood is the film industry in Lagos, Nigeria. Ugawood is the Ugandan film industry. Wakaliwood refers to the film studio in Wakaliga, Kampala, Uganda, which specialises in very violent films. Hollywood North refers to film and television production in Canada, especially the cities of Vancouver and Toronto. Mollywood may refer to the Mormon film industry in the United States. Somaliwood refers to the film industry that has sprung up around the Somali immigrant community of Columbus, Ohio. Peruliwood refers to film production in Peru. Etyekwood is the informal name given in the media to Hungary’s new Korda Studios under construction in the wine-making village of Etyek near Budapest. Hollyhammar was used to refer to a TV production facility in Hallstahammar, Sweden, in the 1990s. Pinewood, name given because of the pine trees surrounding it. Is located in Buckinghamshire, England This studio dates from the 1930s so its real name predates the +wood suffix. Trollywood is the informal name for a film production facility in Trollhättan Municipality, Sweden. Valleywood is the informal name for the Dragon International film studio complex in Wales. Wellywood refers to Wellington, New Zealand – home of Weta Workshop, Weta Digital and Peter Jackson’s film studio. “Mollywood” is sometimes jokingly used to describe the Hollywood Sign-inspired town name on the hillside at the eastern edge of Mosgiel in New Zealand. Aussiewood or Oziwood refers to Australian cinema, including Ozploitation from the 1970s and 1980s but post-dates the genre. Chinawood is a nickname for the Hengdian World Studio, the largest filmstudio in China. Pallywood is a term used by conservative commentators to describe alleged anti-Israeli media manipulation through video footage. Bulawood – Fiji film industry. The word Bula is a word of greeting in Fijian language. Tollywood – is Telugu film industry (correction).